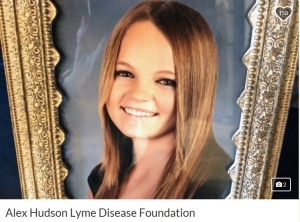 FRESNO, CA (KMJ) – May is Lyme Disease Awareness Month – one local mother hopes to share her daughter’s story to spread awareness. Jody Hudson’s daughter, Alex was supposed to be heading off to UCLA, but on March 24th, the 22 year-old lost her fight. For ten years, they didn’t know they were battling Lyme Disease. Hudson says Alex started seeing symptoms in sixth grade, suffering joint and inflammation problems. Finally, a doctor in Southern California diagnosed it as a tick-borne disease. Jody believes Alex may have gotten it from a trip to Shaver Lake. Alex wasted away, losing sixty pounds and becoming bedridden in her last months. She was suffering infections and from Mast Cell Activation Syndrome, finally dying from complications. 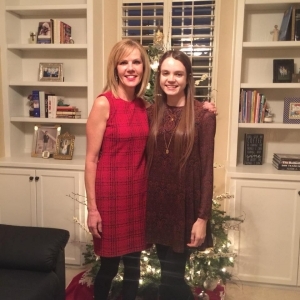 Jody works as Operations Director for Catholic Charities, her faith giving her the strength to start the Alex Hudson Lyme Disease Foundation in honor of her daughter, to help finance the very expensive testing for others to diagnose the disease. Link to the Alex Hudson Lyme Disease Foundation. •Arthritis with severe joint pain and swelling, particularly the knees and other large joints.